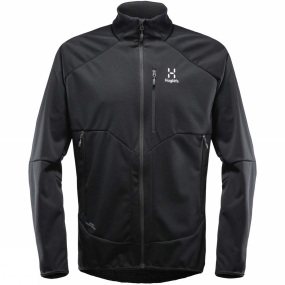 The Mens Multi WS Jacket from Haglof is a softshell jacket that suits a wide variety of conditions. Balances ergonomic design-it's patterned to follow and enhance your natural movements-with protection. Manages moisture effectively, thanks to a mesh backer. Easy-access zip pockets provide a handy place to stash your stuff.